Fruits are an amazing thing. They are packed with vitamins, fiber, antioxidants, and tons of incredible nutrients. Most people do not get enough fruits and veggies in their diet. That is one reason that I started SmoothieGains.com. I wanted to encourage those who are looking to build muscle to eat their fruits and veggies. Gym-goers should focus not just on having a great looking body, but should also focus on having a healthy body. Part of this is encouraging people to eat (or drink) more fruit. However, not all fruits are created equal. Though, fruit is great for the human body, some fruits do hold more calories than others. Now I am not saying a high calorie fruit is bad for you. Far from it. It all depends on what your fitness goals are. For people looking to lose weight by eating more fruit, these fruits should probably be avoided. Or at least they should not be the main part of the diet. At the same time, for those individuals looking to gain weight by eating fruit, these are the best fruits to eat. This is the group of people that I fall into. I am often struggling to consume enough calories in a day. I’m an active individual who has always been skinny. If I want to grow and keep muscles, I need a lot of calories. These high calorie fruits help me do that. As with just about all fitness related things, it really depends on your goals. I am simply trying to show the facts and give you a quick and easy to understand list of high calorie fruits. Many of these can be used to add more calories to smoothies. I have a slight obsession with throwing dried and pitted dates into my smoothies. They add a ton of sweetness to the smoothie and go really well with bananas. They are also extremely high in calories. This is true of most dried fruit. The reason that a lot of fruit tends to be low in calories is because of the high water content. Think of a raspberry or blackberry. It’s mostly water. Dried fruit have all the water removed. What’s left is a whole lot of calories. A cup of dried dates have over 400 calories. 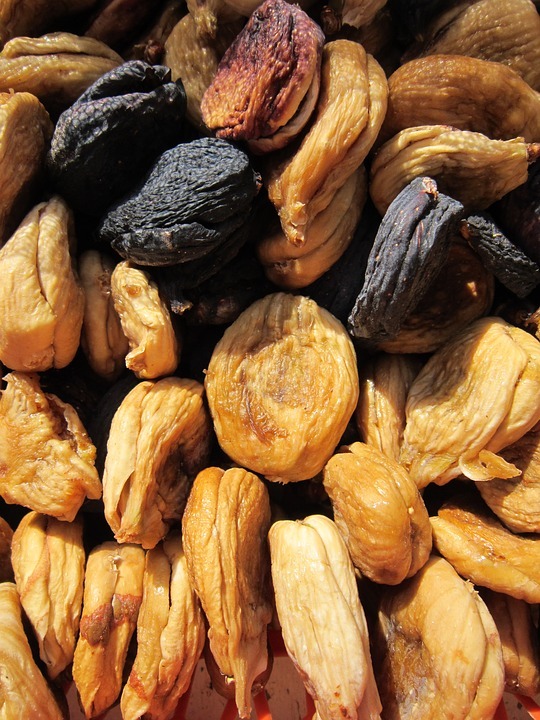 Raisins, dates, figs and other dried fruit all have a lot of calories. If you want a lot of calories from fruit, start with dried fruits. You can even add them to a smoothie. Most fruits are high in carbs. That is where a lot of their calories come from. Avocados are different in that they are also high in fat. A gram of fat contains more calories than a gram of carbohydrates. 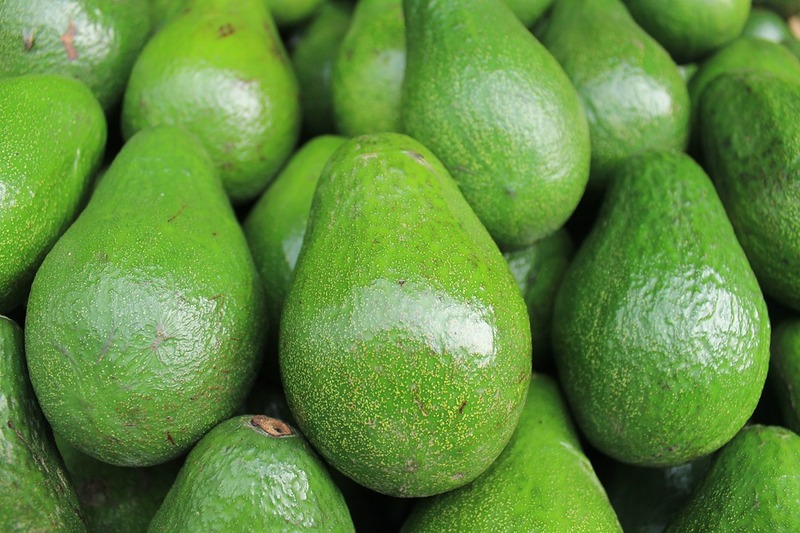 Because of this, avocados are able to hold more calories per serving than most other fruits. A single cup of avocado is about 240 calories, and a single avocado is about 322 calories. Avocados are a good source of vitamins and minerals, containing nearly 20 different types. Coconut comes in many forms; coconut water, coconut milk, coconut cream. They are all different and have different caloric and nutritional values. For example, coconut cream has a lot more calories than coconut water. This is because most of the calories in a coconut are in its meat or flesh. Though coconut is not technically a fruit, it is close enough. Like avocado, coconut meat is high in fat. 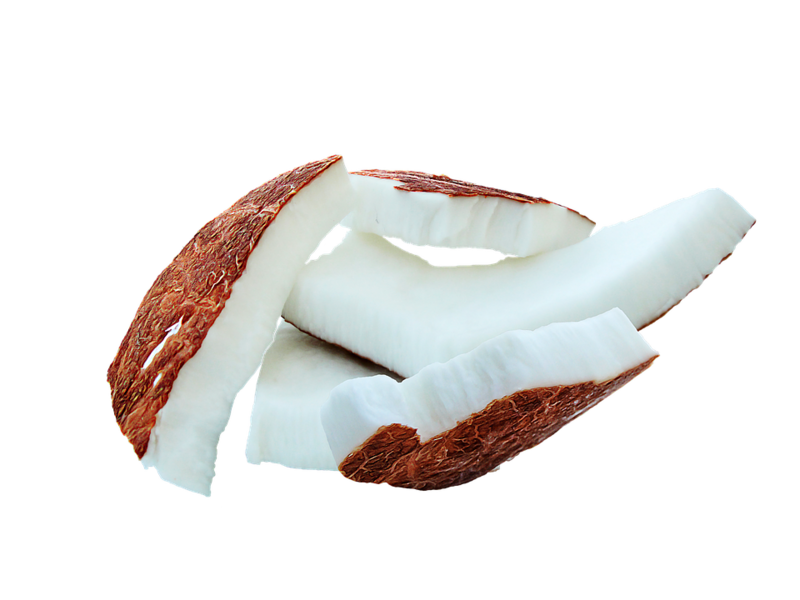 A cup of coconut meat is around 283 calories. Coconut meat is a good source of manganese, potassium and copper. Bananas are an ingredient in many high calorie smoothies. They are sweet and have a nice smooth texture. The flavor goes well with many other foods and they are cheap and easy to find year round. There is no banana season as the fruit grows all the time. They are also one of the higher calorie fruits you can eat. In fact there are fruitarians who base their whole diet around bananas. A single banana will have a little bit over 100 calories. 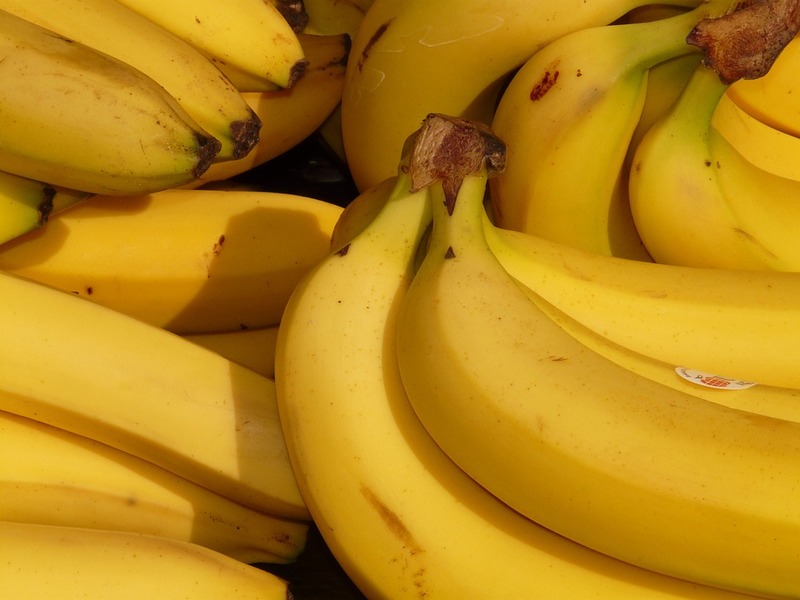 Potassium, Vitamin B6 are just a couple banana nutrients. 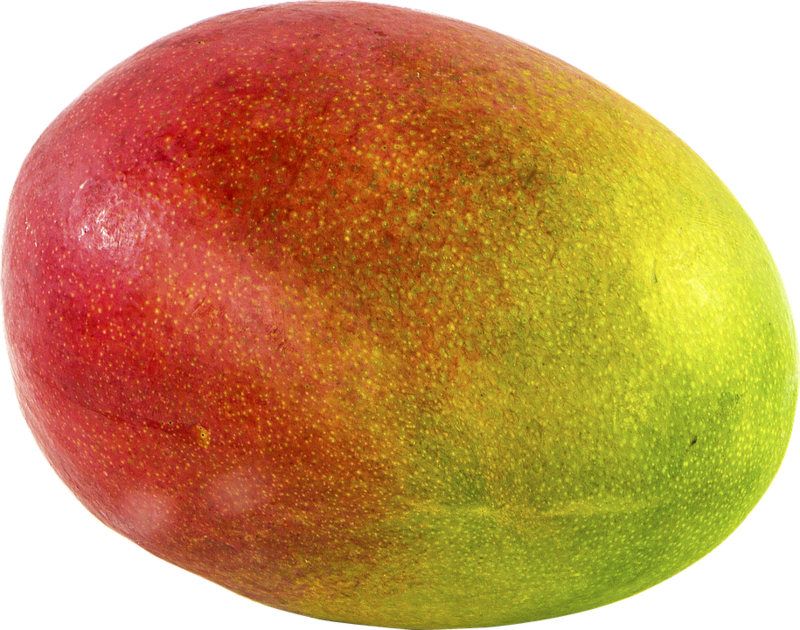 Mangos are a sweet tropical fruit. They go well with other tropical fruit such as oranges, bananas and papaya. Mangos can have fibery parts in their flesh that get stuck between my teeth, so I do prefer them in smoothie form. A cup of chopped mango has about 100 calories and includes 100% of your daily vitamin C.
The fact that grapefruit is on this list honestly surprised me. I always thought grapefruit was mostly water and would be low in calories. But the truth is that grapefuit has enough sugar in it to actually make a cup of the fruit equal to around 100 calories. 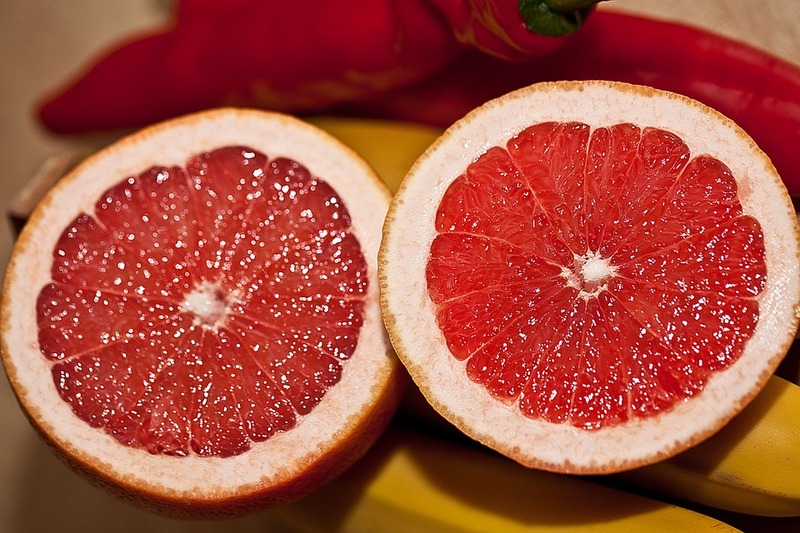 Grapefruit is high in vitamin C and there is some evidence that it can help lower cholesterol. 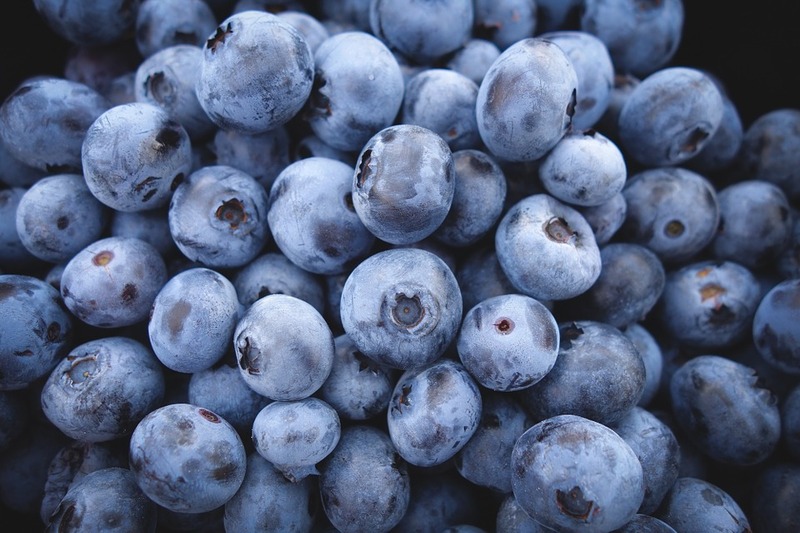 Blueberries are noteworthy because they have so much more calories than other berries. Berries are definitely one of the healthiest forms of fruit. Blueberries are a super food and there is good reason for that. The list of health benefits that blueberries provide is too long to list here. There is evidence that they help the heart, the brain, the immune system, the eyes, the blood stay healthy. Not only that, but they taste good and are one of the only blue fruits. There is an idea that a rounded diet should include many different colors of foods because each different colored foods contain different nutrients. What’s more blue than a blueberry? A cup of blueberries has about 85 calories. Also, check out the list of highest calorie vegetables, you might be surprised what is on there. Cool website! I am currently in a similar situation, I love bodybuilding and I am seeing great results with my body. However I don’t feel healthy and I am trying to transition into a raw vegan lifestyle. I have done it for a week now and I feel absolutely amazing, but I am having trouble keeping up the amount of calories and protein my body needs. Andre that is great to hear but I would advise you to refeed on healthy fish or meats at least once every 3 months as our ancestors were never raw vegans and things like spirulina don’t have b12 actually the opposite that inactivates the b12 receptors making it harder to absorb. Just eat nutritional yeast on your kale salad and you’re golden. I’ve been vegan for 8 years and I’m extremely healthy. you forgot passion fruit, gram for gram m they are higher than bananas in calories. Fruit, the food for mankind. ” helth is wealth “. I am trying to lose weight and this summer have been eating so much watermelon. I know it is 93% water and wonder if that is stopping me from dropping weight. Yes, I probably eat too much salt. Does the water in watermelon take the place of the consumption of water during the day? You need to follow food combination rules. Fruit should be eaten in the beginning of the day and digested before other foods are taken in. The rest of your meals should also be low fat since watermelon would be considered a high carb low fat food item. No oils, no animal products. You’ll drop tons of weight. It has a seed, hence, a fruit. Just like tomato is technically a fruit but by some weird government law, it is now classified as vegetable. Avocados grow on a tree… its a fruit. i’m tyring to gain wait. Can anyoneone suggest me perfect diet to gain weight? I also started running, i cant leave running but also want to gain weight…! Hello sir I am 30years old.My height 160CMs.My Weight only 50Kgs. Kindly suggest me how to increase weight.